← Hey Mighty1090, What’s With This Shady & Shaky Start? Adrian freaking Peterson. Just an absolute monster on the field. If I’m Ryan Mathews, all I do in the off-season is study film of every single one of Adrian’s carries. Ripped up knee ligaments? Fuhgettaboutit. Watch your back, Eric Dickerson… All Day is coming for you. 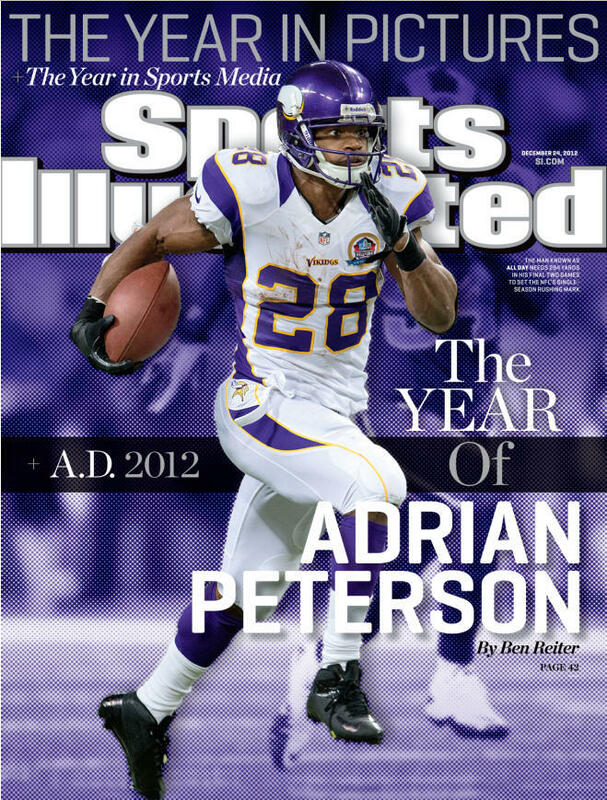 This entry was posted in Football, Media, NFL and tagged adrian peterson, Adrian Peterson Made the Cover of SI, Adrian Peterson SI Cover, Sports Illustrated, Sports Illustrated Adrian Peterson. Bookmark the permalink.